WordPress Hacked ng689skw sa3d hack3d muhmademad imamw! This is the worst nightmare of many website owners however being hacked is quite a common it’s more a matter of concern when it succeeds. The popularity of WordPress makes it vulnerable to external intrusions. WordPress security is something can can require expert WordPress consulting and even then sites can still be vulnerable to WordPress hacks. Often when a WordPress site has been hacked the best way to clean it up is to undertake a completely fresh reinstall. This involves a detailed inspection of all the WordPress files and then quarantining any infected files or code to avoid future instances of WordPress hacked by ng689skw. Many hackers inject Trojan horses or backdoors into your site and these can be difficult even for WordPress consultants to identify and fix. At least 15,769 WordPress websites – and probably more – have been compromised this year, half slipping past Google’s Safe Browsing checks, says security researcher Daniel Cid. The world’s most popular content management system represented the lion’s share of some 21,821 sites studied in the second 2016 Sucuri report on compromised web properties that found 3099 Joomla! sites were hacked in the same period. 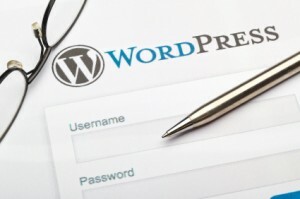 Without proper security measures, you may find yourself with a hacked WordPress site. As WordPress’ source code is readily available, and almost 25% of all sites run WordPress, WordPress sites make an easy target. While there is no such thing as a 100% guaranteed secure site, there are however a lot of measures you can take to harden a site as much as possible. Make sure that WordPress and all themes and plugins on your site are up to date. Delete deactivated plugins, don’t leave them in the wp-content/plugins folder. They are a potential security risks and many old and outdated plugins can be one of the causes of sites being hacked. Titanium Consulting can help keep your website up to date with professional WordPress support and WordPress maintenance services. Maintaining and supporting the functionality of your website is high on our list of priorities. At Titanium Consulting, we stay on top of the trends, updates and responses to the latest technology changes. With a Titanium Consulting support agreement, we guarantee continuous Core and module upgrades as well as constant security updates. Our client’s success is what we strive for. We want your company, big or small, to succeed on the web. To help you do this, Titanium Consulting goes beyond our core WordPress development services to offer comprehensive ongoing WordPress support and maintenance services. 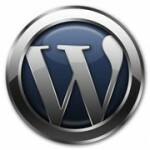 Although your web site may be “finished” Titanium Consulting continues to offer quality WordPress support. Maintaining your website and allowing for improvements to be made to insure your site is completely up to date. Ask us about our WordPress Support & WordPress Maintenance agreements. As WordPress has become the web leading content management solution, powering over 25% of all the Internet websites obtaining accurate, helpful and timely support for website owners is critical. It not feasible for many website owners to rely on the WordPress Help Forums – you need an expert, professional service that will respond quickly to resolve your WordPress Support issues. Please use the contact form below or browse our WordPress Support packages. We offer a WordPress support packages, services and cover everything WordPress. We can help with anything from theme customization to upgrades, plugin installs and configurations and setups not to mention WordPress design. Stop pulling your hair out! A seasoned WordPress Professional gets problems solved. Faster. Better. Less Headaches. configurations and setups not to mention WordPress design. 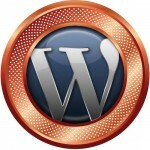 Need To Learn How To Use WordPress? Want Us to Make the Changes For You? WordPress Theme Not Looking So Good? Do You Need WordPress Development? customization you might need, we’re here to help! 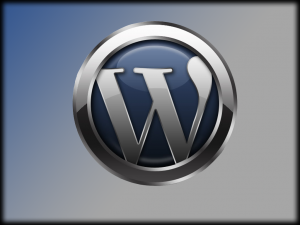 Download WordPress 4 here with a number of exciting new features.